Huge THANK YOU to Ali and the team at Chatton Trout Fishery for the link to ladies fishing from their website. We enjoy visiting Chatton because the facilities are great, you always get a friendly greeting and the team make a brilliant bacon sandwich and a good mug of tea. There is always upto date information on whats being caught and the killing fly pattern of choice, if you don’t have that fly in your armoury, you can always buy it from the shop. They sell Sharpes of Aberdeen rods too. 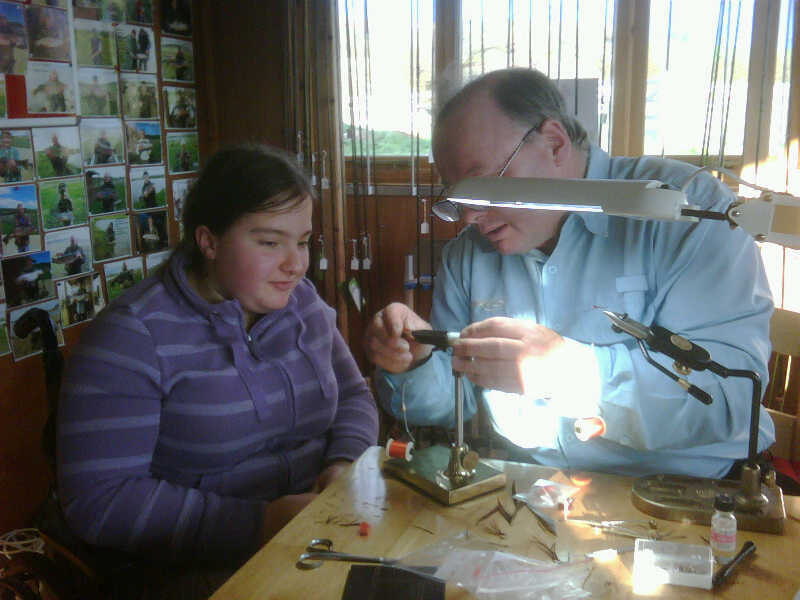 We will be visiting Ali on Saturday 13th March on the International Womens day fishing day. Hilary will be there too, one of our youngest members.